If you combine years of know-how with a spirit of creativity you get ingenious thinking that can solve almost any special effects problem. 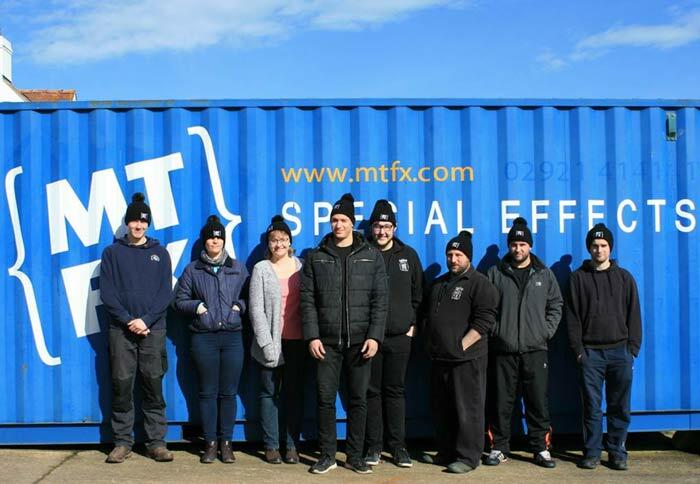 At MTFX we have massive experience and a passion for innovation that help us find ingenious special effects solutions whatever you throw at us. We solve problems for all sorts of people, from film and production companies to event managers and tour promoters. We listen to what they want to achieve and we use our technical expertise to come up with the solution. And aside from our technical expertise, we pride ourselves on being rock solid reliable and jolly nice people to have around. Our aim is to apply industry best practices, act responsibly and promote sustainable growth. Caring For Life is a Christian charity, based in Leeds and sharing the love of Jesus through offering compassionate, consistent care for those who have “slipped through the net”. Caring For Life provides homes, support in the community and therapeutic daytime activities based at their farm, for life if needed. CFL seeks to bring the love of Jesus to many who have known only abuse in childhood. For more information visit their website at www.caringforlife.co.uk.